DataTorque is one of New Zealand’s leading tech businesses. Our focus is on tackling complexity. By designing and delivering practical solutions that enable our clients around the world to efficiently collect and manage critical tax revenues, we help them advance. Our determination to succeed and our famous Kiwi down-to-earth approach has attracted some of the best talent available to join us and work together with our clients in delivering real impact where it matters. The result has been the continual refinement of our products and services, year-on-year growth and the unwavering loyalty of our clients - we have not lost a single client to a competitor in over twenty years. Today our reputation for delivering what we promise without issues or unwanted surprises reaches from the Pacific market we first entered back in 1994 to Africa, the Americas and Europe. It is a story that has provided returns for both ourselves and our clients, it is a story of collective success. What often sets companies apart is their people, but it is what unites them - their sense of a shared purpose - that really makes the difference. At DataTorque each and every one of us understands that what we do has a real impact on our clients and the future of their countries. It’s an understanding that binds and focuses us as a team. Regardless of where we are in the world - our team is currently operating in 11 countries - the values that guide us and drive our performance ensure our results are consistent and our relationships long. Our team comes from all over the world, we operate all over the world, but our home is New Zealand. Being from a small nation is an important point of difference because, like many of the countries we work with, we understand more than most that we rely on each other to achieve success. Lincoln oversees our finance function while focusing on our strategic direction and implementing our growth ambitions. Lincoln has a background in banking and finance, specialising in raising debt and equity in difficult markets, as well as a strong track record in investing and growing private businesses. Helping to grow our team and have them understand that they can not only compete but excel anywhere in the world, and having them constantly prove us right, has been the most fun part of the ride. Lincoln is a parochial "Kiwi" and is convinced that our culture provides a unique shared understanding of our customers' needs and ambitions which goes well beyond supplying software. Lincoln travels extensively and more often than not tries to combine this with his obsession for skiing around the globe. Bill is the driving force behind our go-to-market strategy. An astute thinker, he leads by example. Bill acquired a shareholding in his first software business at 27 and has been a company director for over 20 years. At DataTorque, he's seen the company grow fivefold since embarking on a defined strategy of helping revenue authorities deliver measurable results. His approach is a straight-forward and genuine one: work openly and honestly as a team and share a common sense of purpose. Always challenge each other, but remember to remain flexible and have a sense of humour. That's how you ensure everyone enjoys the journey and you arrive together, achieving the best result. A keen traveller, he enjoys exporting New Zealand’s unique character and trusted work ethic to the world. He's passionate about building relationships in the countries where we operate and in making a positive difference to people’s lives there. Many of his friends today are the same people he has worked with along the way. Bill plays the guitar and loves to fish and snowboard. He is well on his way to reaching his goal of visiting every country on earth. Raymond brings our strategic intent to life in operational environments, systems and implementation. Raymond has worked within the computer industry for over 20 years, starting as a software developer then transitioning into project management and then the leadership of large organisational change programmes. He has intimate knowledge of all aspects of technical and organisational development and is an expert at ensuring elements critical to a project's success are in the right place at the right time. He’s extremely proud of DataTorque’s delivery record and in achieving fantastic results for both clients and their countries over many years. He’s also hugely proud of the ‘can do’ attitude of his team and colleagues. Raymond is passionate about maintaining a high performing work environment, built upon a collaborative and family-friendly culture. He loves family, sport and fitness. He is kept busy coaching his daughters' sports teams in his spare time. Wayne is responsible for current and future product development for our flagship products. He's a firm believer in leveraging technology to improve business while keeping it simple, usable and, most importantly, useful. Wayne has been involved in every DataTorque product for the last 18 years and has designed the architecture for each generation of our flagship products. Over this time, he's watched clients grow in self-confidence as the products have evolved. Revenue authorities have let go of old manual processes and now eagerly embraced new features that improve operations and increase revenue. He is particularly strong at interpreting client needs and transforming them into highly useable solutions. His success comes down to maintaining open and transparent communication. Wayne enjoys family, sports and fine wine. He is particularly keen on Basketball and coaches college teams for both Rugby and Basketball. 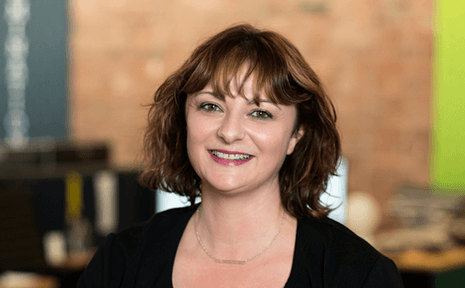 As our Principal Consultant, Shona is on a mission to help our clients transform their processes to take advantage of the efficiencies technology provides. 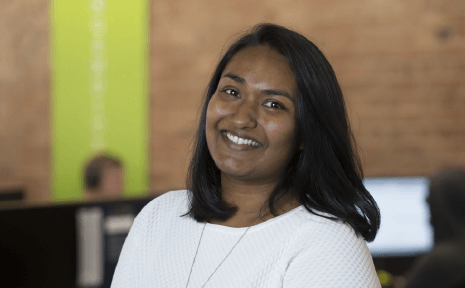 She is driven by the opportunity to serve, and is rewarded by being able to help bring about positive change for the countries we work with, their tax staff and for the team at DataTorque. 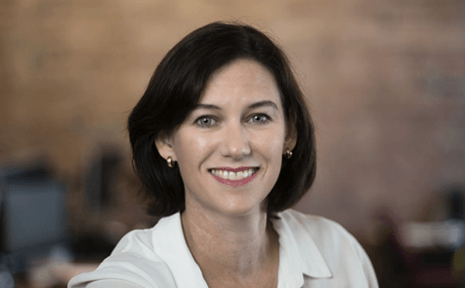 Shona has a Masters in Business Administration and brings over 25 years of policy and operational experience in tax reform both as a client and a senior manager in New Zealand government with Inland Revenue, Customs, and the Ministry of Education. Her specialist change management skills were developed over ten years in tax, customs and transport reform programmes in Samoa, The Solomon Islands and The Bahamas. 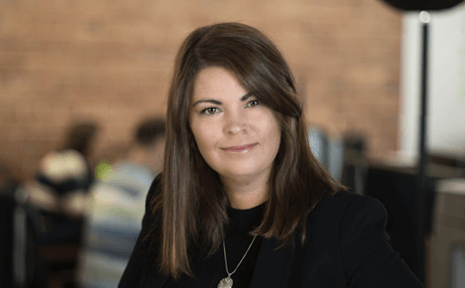 Shona works with tax authorities deftly bridging the gap between tax policy, operations and technology, and as a skilled facilitator loves to draw out information by making people feel comfortable. Outside of work Shona can be found with her family in Mt Aspiring National Park, one of the most beautiful parts of New Zealand, enjoying boating, fishing, walking and relaxing together. Sharron is our tax administrative reform and business process champion. She works alongside clients to help them manage the changes in business processes that come with a comprehensive IT programme of work. This ensures products are fit-for-purpose and reflect best international practice for revenue organisations. Sharron has worked in tax authorities across the world, managing all major operational areas found in a tax office. She brings strong experience in tax reform and has a solid background in development principles and practice. She is passionate about partnering with tax authorities and working together to nurture local capacity at both a strategic and operational level. Sharron has lived in 5 different countries across the Pacific and Africa and loves to go off the beaten track. In New Zealand, you'll find her with her young family – kayaking, cycling or entertaining. Brent ensures that our development team not only meet a client’s requirements but surpass all expectations. He’s been working in IT for over 19 years, much of that spent developing and testing product-based systems for DataTorque. He’s seen how each of our products has evolved and believes the key to success is in delivering a quality product that works in the real world, where our clients live and breathe. He has a passion for building complex systems with a focus on usability, quality and component reuse. Brent is always looking for better ways of doing things with all aspects of software development, right down to the finest details. He’s a big part of why we can continue to offer products that impress year after year. Brent is a family man with four kids and enjoys a good work-life balance. Mark oversees our development team and the processes we use to deliver our products around the world. Mark started in engineering, before specialising in software, and has now worked at DataTorque for nearly 12 years. At DataTorque, he is known for his wide understanding of revenue management and in-depth knowledge of each product’s capabilities. This is why he’s been so successful in helping create and implement multiple iterations of our world-beating revenue solutions. He’s proud of the difference these solutions continue to make in communities around the world and is a driving force in determining the roadmap for our future product development. Mark believes in combining the best-of-breed process and technology and adapting them to perform seamlessly within emerging economies. Leveraging real-world experience is what ensures solutions are consistently right-sized and fit-for-purpose. When Mark isn’t travelling to client sites, he plays a lot of sport, and football in particular. He plays twice a week all year round, and also coaches both his daughters’ teams at his local club. Working alongside our leadership team to assist them to be more effective is Janet’s specialty. She thinks about how to make sure that as DataTorque grows, and we work with a larger number of clients in even further flung parts of the globe, we retain the elements of our culture and behaviour that have made us successful, while evolving and adapting ourselves to deliver to changing client needs. This translates into coaching, providing advice, running and coordinating development programmes and being a sounding board for leaders and staff members. 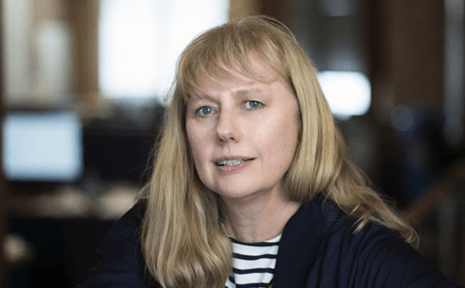 Janet brings deep experience of more than 20 years in consulting in leadership development, including supporting leaders and organisations through the journey of change, career development planning as well as team and individual assessment and development. Although an independent contractor and consultant at present, Janet’s background of line management within a large corporate in the IT sector going through significant cultural and structural change led to an interest in developing people, and helping organisations through change and growth. Outside of work Janet and her family are keen supporters of the Wellington Film Society and enjoy Wellington’s vibrant cultural life. Len ensures our Project Management team work as a cohesive unit across all projects. With more than 25 years' experience in IT, on top of 10 years working in business divisions of companies like Zurich Assurance and Lloyds Bank, Len has a clear insight into what a client wants and needs, and how this balances with IT requirements. He’s well-known for his ability to take a step back to see the bigger picture while keeping calm. For Len, the most rewarding aspect of his role has been watching our solutions consistently increase revenue income and change lives around a country. At the same time, he's been humbled by the support and appreciation shown by those people involved. Len believes you can work smart, be honest and have fun while doing it. In fact, he considers it a key reason DataTorque deliver again and again for their clients. Len is a family man and dad to 15 year old twins. He likes to keep fit and is a keen collector of mechanical watches. Graeme leads some of our larger international projects, including delivering major undertakings for clients in Africa and the Caribbean. 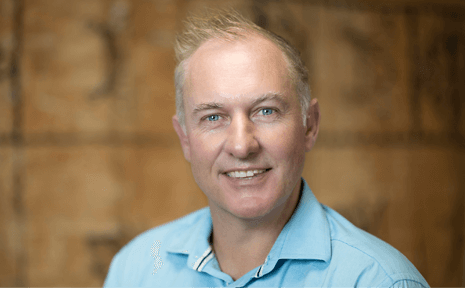 Coming from a software development background, he has worked in IT for the past three decades and has vast experience across public and private sector organisations, both in New Zealand and overseas. This is what gives him the broad perspective necessary to know what produces the best results for clients, and the drive to fully harness a team’s skills and energy. For Graeme, a key ingredient of a project’s success lies in developing initial onsite relationships with stakeholders and nurturing those as the project progresses. He enjoys collaborating with others and believes that's how you come up with the smartest solutions. 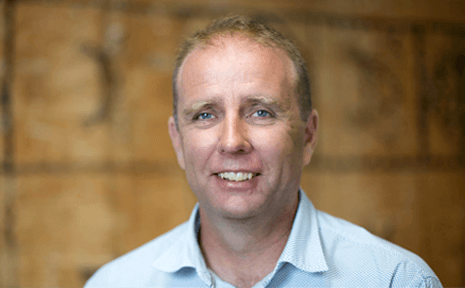 Developing a world-beating product in the revenue management market and helping clients in emerging nations realise their vision, is what rings his bell. At home, Graeme remains busy raising three teenage boys, which he reckons is as much of a challenge as running a large overseas project. Rick brings optimism and an unflappable nature to manage the delivery of major tax software projects. He really enjoys the opportunities DataTorque offers to use his strengths in technical consulting and relationship building, to help improve the stability and security of nations through improved revenue collection. Rick first worked for DataTorque as a programmer in the mid 1990’s. Since then he’s developed a wealth of experience in software development and as a technology consultant. Roles in New Zealand and overseas have included project management, business management, as well as building architecture and sales. His practical abilities also extend to growing high performing teams, and to creating understanding by effectively translating the languages of business and technology. Outside of work Rick juggles his time between the six offspring he and his partner Kate share, horse trekking, and skiing expeditions on New Zealand’s Mt Ruapehu in the Central North Island. Jane provides a balanced approach to project management and an infectious positive attitude. Since joining DataTorque four years ago, Jane has shown a natural ability to build strong relationships with both clients and key personnel. This talent allows her to bring together diverse teams of people to overcome challenges, develop creative solutions within budget, and ultimately, deliver top quality products. 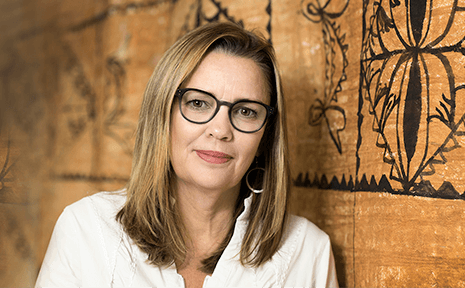 She has delivered online services for Samoa and the Cook Islands and currently works across a diverse portfolio of clients. This exposure has helped her develop a broad knowledge of tax business processes and an insight into what challenges and opportunities technology solutions present an emerging economy. Jane is passionate about building diverse teams and harnessing the skills and energy of all those around the table to deliver solutions that are robust and effective. Jane enjoys cooking and entertaining for friends and family. She is a keen traveller and takes the time to learn about the history, lifestyles and cultures in the places she visits. As our Principal Business Analyst, Catherine translates business requirements into technical solutions that help our clients advance. She thrives in a customer-focused environment, with the aim of ensuring that each client's vision is captured and prioritised in the final delivered product. She aims for simplicity, usability, and clarity of communication. Catherine has always been dedicated to improving business process, delivering great outcomes, and leading teams to achieve results. 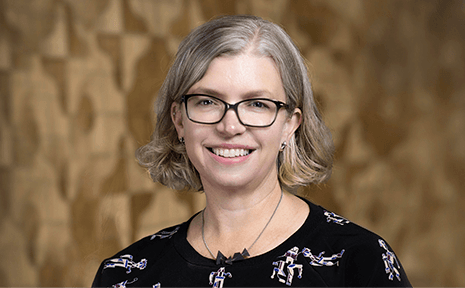 With over 15 years’ experience working in consulting roles, and in the New Zealand and Australia public sectors, she is always curious, and enjoys discovering how different organisations work. When she's not travelling, Catherine enjoys walking Wellington's hills, and is a volunteer guide at Zealandia EcoSanctuary. She can often be found wandering around the sanctuary at night, spotting kiwi and gazing at Aotearoa's native glow worms. Robyn champions our communications and marketing effort to help grow DataTorque’s reputation and deliver on our brand promise. She works collaboratively across the team providing strategic advice and working on tactical solutions that help us achieve our business goals. Robyn brings brand management expertise from over 20 years in corporate roles largely with New Zealand government agencies. She develops unique customer propositions keeping the voice of the customer central and focuses on growing stronger connections with all our clients and stakeholders. She has a fascination with what makes people tick and is motivated by making a positive difference. This includes understanding how we are helping our clients and their administrations succeed, and finding compelling ways to share those stories. A passion for music led Robyn to an early career as a cellist and evolved into a focus on communications after studying journalism and exploring the world of market research and advertising. Robyn loves travelling and when not at work she can be found planning a trip somewhere, Chairing the Board of her son’s Secondary School, or out and about walking and mountain biking with family and friends. Michelle resides in the Caribbean working with the Barbados Revenue Authority to transform their tax system with the implementation of DataTorque’s Revenue Management System (RMS). She loves the opportunities her work provides to develop strong, lasting relationships with clients. 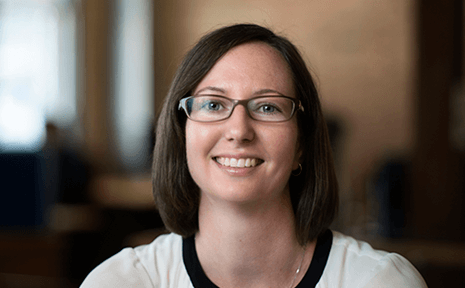 Michelle’s listening skills are key to building open communication channels that enable her to understand what drives the need to improve business processes, develop requirements, and deliver solutions that really meet people’s needs. It is seeing the positive change our solutions provide and empowering clients to continually improve their business and identify transformational opportunities that she finds most satisfying. Michelle’s experience spans over 20 years in large tax and social policy Government agencies. Her various roles have incorporated test management, service design, business rule and business process management, continuous improvement, business architecture and project management. Living off-shore is a wonderful new challenge for Michelle who enjoys travelling and discovering the true essence of countries and cultures. She keeps her cool by practicing yoga and also loves to cook, sharing food and great New Zealand wine with friends and family. Natasha manages our test team with a positive, can do attitude aiming to foster better practices and to help the team do their best work for our clients. For Natasha that’s about creating transparency, building skills and sharing knowledge across the team. She believes in applying a range of methods to ensure that we not only meet our clients' business requirements, but also provide an enhanced experience for customers who use our system. Leading a test team that is continually focused on improving its approaches, while also delivering real world positive solutions to delight our clients, makes showing up for work every day a joy for Natasha. After gaining a Masters in Politics and Strategic Studies, it was people with a passion about what they do, and a drive to do it better, that attracted her to a career in technology. The opportunity to apply her skills in testing environments has held her attention ever since. Beyond work her passion flows into enjoying the good things in life, like sharing brunch with friends and family, books, visiting museums and galleries, travelling, and - just a little bit too often - shopping! Nicola provides technical oversight to many of DataTorque’s major projects, helping our clients to get the best out of our systems. She also actively assists our support team, who deliver day-to-day guidance and solutions to clients all over the world. Over the past six years, she has also been focused on delivering large-scale programmes, leading the technical development for our Revenue Management System (RMS) clients in Swaziland and Haiti. She has also been closely involved with our clients in The Bahamas and Barbados. Nicola enjoys visiting different places and getting to know the people who use the applications she is designing and managing, so she can see things from their perspective. With a passion for accuracy and figuring out the best ways to do things, she holds herself to a high standard. As a result Nicola makes a significant contribution to the ongoing improvement of our development practices. Starting out her career developing for Geographic Information System mapping, Nicola moved on to banking, working on applications for their internet banking website as well as for their customer call centre. Nicola completed her first half marathon in 2017 and, when she’s not training for her next event, she can be found at her monthly book club meetings or enjoying growing flowers and vegetables in her garden.